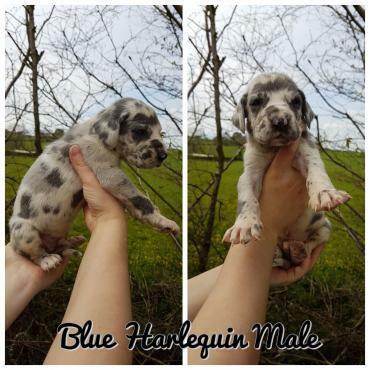 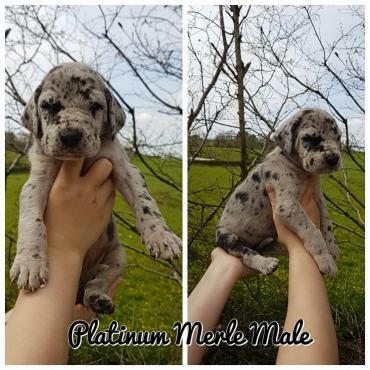 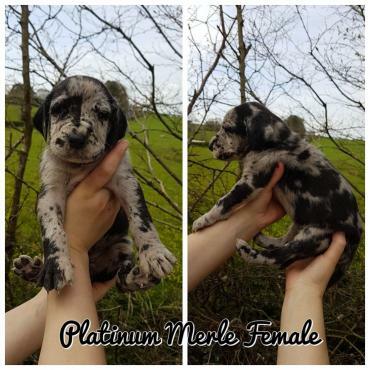 We have amazing colours from platinum merle, blue harlequin, solid blues, blacks and harlequin, both males and females available. 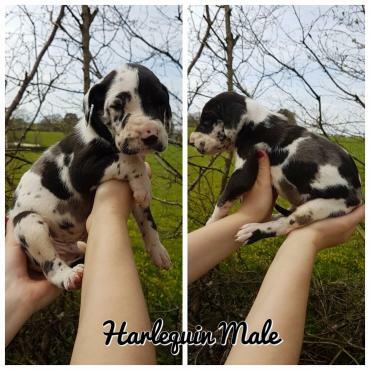 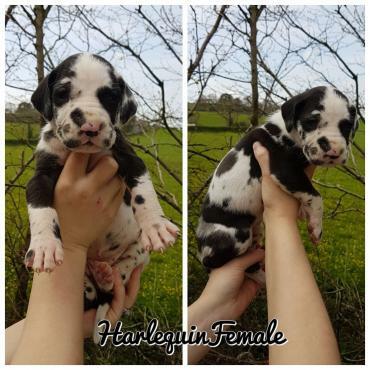 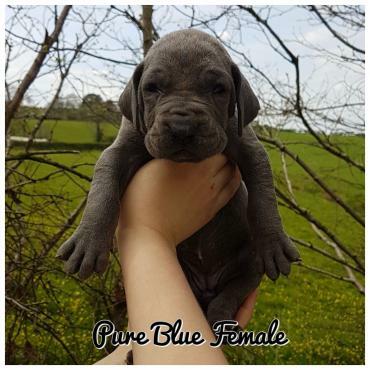 Mum is our loving, gentle giant Harlequin great dane family pet and can be seen with the puppies, dad is a impressive local black great dane stud (photo in advert of dad), together they have produced happy healthy puppies. 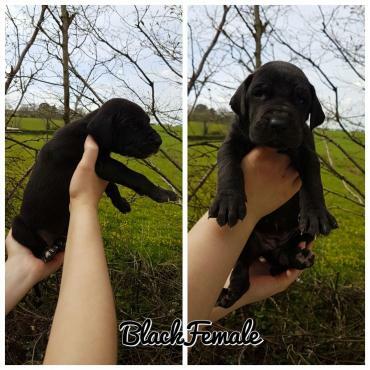 Both parents are KUSA registered. 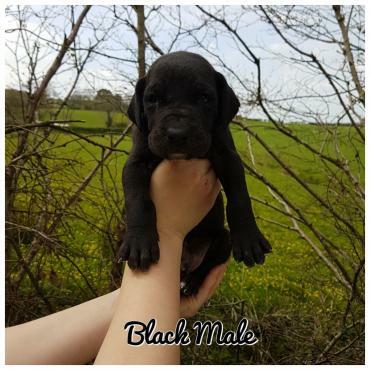 Puppies will be vaccinated, health checked by our vets, wormed from 2 weeks old, flead and fully weaned off mum before leaving for there forever homes.